Office Space - Erith, London Borough of Bexley. This listing offers modern and stylish high quality offices. There are private offices and co-working spaces available, providing your business with the perfect solution. The building has numerous great facilities such as; meeting rooms, 24 hour access, coffee shop and a community of entrepreneurs. 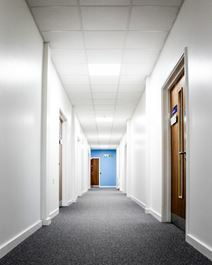 The office space is located within walking distance of good transport links, making the office accessible for commuters.